So the goal of doing all of this is to have people that are most likely to do business with you to have you on their radar and come to you for all their real estate needs. And that’s what I want for you. I want you to go out and help more clients. I want you to be that agent that serves customers at the highest possible level. 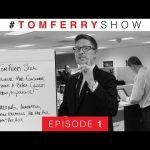 Give me some feedback on the #TomFerryShow. Send me questions of what you want answered. 13 Responses to "Taking Marketing To The Next Level! 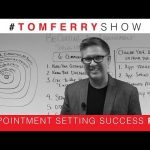 | #TomFerryShow Episode 1"
this is my first video, I’m new to your coaching…I’m so pumped after watching episode 1…I need to find time to binge watch all your videos..
omg I loveeeeee your passion and dedicatioin… ! hi tom, as you look so familiar it came spontaneous to call you directly with your name . today i decided to start work in to the estate world. i like much the way that think many american entrepreneurs. i know i deserve training myself and conditioning my mind to be successful in my life. i know that you success is not depending from outside world but from inside world and . i choose this field because is something that attract my way to be in life. so finger cross . go ahead to empowering myself every day…. 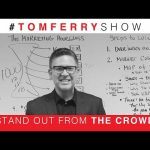 my new drivetime jam… going back and watching all of the #tomferryshow stating at #1! Subscribed! Starting at episode #1! 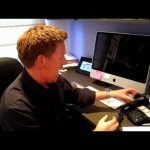 I know this is an old video but I’m a new agent But these tips never get old. I’m super excited to make 2017 an amazing year! Going to watch all your videos and learn as much as I can. WOW 28,339 views ! just watched show#100 you re the BEST!